Do you want a new good game that works well in stereo 3D mode with 3D Vision, well then you should forget about the new Call of Duty: Modern Warfare 3 game is it does not play well in stereo 3D mode. And apparently we’ll have to wait a bit more for the proper stereoscopic 3D support to be added with a patch for the latest Battlefield 3 game. And the release of the PC version of the new Batman: Arkham City game that should look wonderful in stereoscopic 3D mode was yet again delayed, this time for 22nd – 25th of November (depending on your location). So what can you play meanwhile that will look good in stereo 3D mode on 3D Vision? You should definitely check out the new PC version of the game L.A. Noire: The Complete Edition that just got released as it looks very nice in stereoscopic 3D mode as the game has official support for 3D Vision. But the console versions of the game apparently will not have support for 3D and they should be released in a few days on November 15th. 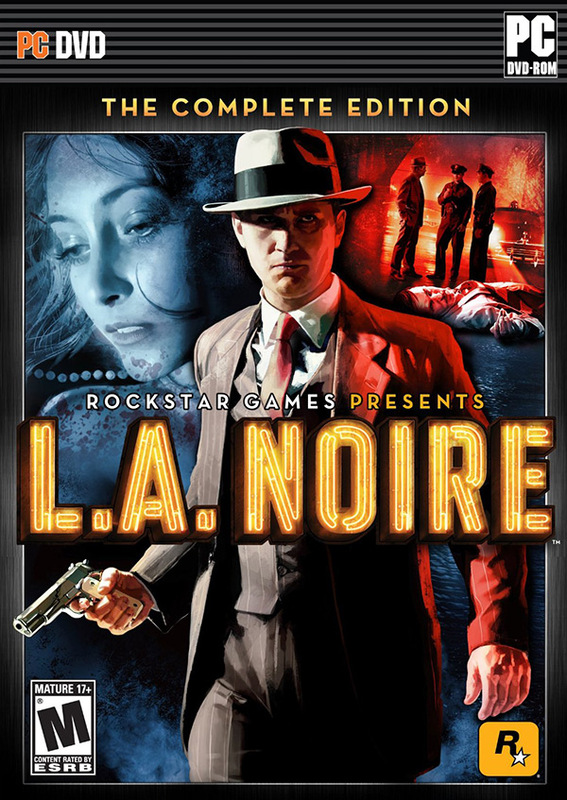 The PC version of L.A. Noire: The Complete Edition was developed by Rockstar Leeds and features increased resolution and graphical detail along with keyboard remapping and gamepad functionality. L.A. Noire: The Complete Edition on PC also features support for NVIDIA 3D Vision for an even greater sense of interaction and immersion. – Browse to NVIDIA Control Panel > Set up Stereoscopic 3D. – Click “Set Keyboard Shortcuts”. – Click arrow to “Show advanced in-game settings” and click checkbox to “Enable advanced in-game settings”. Remember your hotkeys. – Change the default convergence up or down (doesn’t matter) and then press the button to save the Save in-game settings and make sure you see the green text on screen. – Check to see if there is an Entry for “LANoire”. – Re-launch L.A. Noire and you now are matching our 3DV profile. The in-game text still say its not rated by NVIDIA, but don’t worry about that. Would this registry entry D-word (32-bit), StereoConvergence= work on other games? Perhaps games that have locked convergence? the 3d effect is excellent in the screenshots, except for ghosting where objects meat the blue sky. with the latest chrome or firefox browsers while viewing 3dvisionlive.com galleries often my monitor will flash from black screen to windows desktop while switching between 3d pictures, this occurs for about 2 to 3 seconds. and the 3d vision glasses flicker while this is occurring. does anyone know how to stop this or limit it? Joe, the games with locked convergence settings don’t care even if there is a registry setting for a custom profile. You can however use a workaround by disabling the S3D driver service before running the game, then alt-tabbing and re-enabling it when the game starts and thus getting convergence adjustment working. Hmm. Stereo convergence is still fixed for me: keyboard shortcuts don’t work and I can put any random value in the registry key and the game convergence is still unchanged. Everything is far too much behind the screen, rendering the stereovision effect completely useless. Why has every game fucked up the convergence setting so far? Make sure that you are setting up the correct value for the version of the windows you have – 32/64-bit as they use different place in the registry for the profiles. @Bloody: does it work on your side? Registry definitely works. If I set for example StereoTextureEnable=1 everything is fucked up. Also my hot-key changes to convergence are written down on configuration-save. Convergence is just completely ignored (or overwritten) like in all other 3D Vision Ready games. In Crysis 2, Wicher 2 etc. you can at least override the fixed in game value using configuration files, but I haven’t seen a config file in L.A. Noire. Bloody you really do talk a lot of old nonsense when it comes to 3D in games. Disabling the 3D driver service and alt tabbing etc does not work at all, for ANY convergence locked 3D game. You mentioned in the past that playing a game in 24hz mode on 3D play solutions is acceptable too…you sir are a fool. Leave the 3D gaming alone and concentrate on yer films old chap innit ! There are some ways to get around convergence locking in some games, but it does not always work or with all games that have it locked… I’ve said that most games are able to run in 24Hz 3D mode and some of them are quite playable, some not all, but them being playable does not mean you should play them in 1080p 24Hz 3D mode instead of 720p 60Hz 3D mode where you’d get much better experience framewise. I have a problem with LA noire. I have installed the game and it starts up fine (it shows the Rocstar and Team Bondi logo as well as the text about copyrights) but when it is supposed to show the main menu the picture freezes and the mouse arrow turns up (though i can still hear the music in the background). I am not the first person to come accross this problem but i haven’t found a solution yet. Can anyone help me ? in 2014, the game does NOT support perfectly 3D : cars are ALL at wrong depth, and some distant backgrounds too.